With Readly you can read Linux Format Annual and thousands of other magazines on your tablet and smartphone. Get access to all with just one subscription. New releases and back issues – all included. 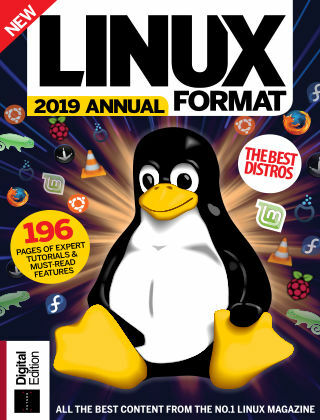 "The Linux Format Annual draws together all the best features, tutorials and projects into one special edition. Inside, you’ll dive into the many aspects of Linux life from some handy terminal tricks to picking a suitable light and fast Linux distribution to try and customise. We also cover everything from technologies to use to keep your data secure and fly under the radar online to useful projects for setting up your own cloud storage, ditching proprietary software on your router and working with remote access and a whole lot more! We’ve broken things into useful sections, covering all the good stuff from the essentials of Linux such as harnessing the power of the Terminal, privacy and security guides, great projects to try (with a healthy slice of Raspberry Pi) and system administration & programming skills."